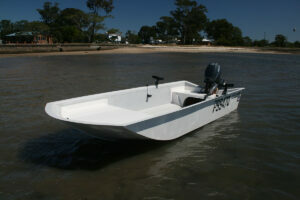 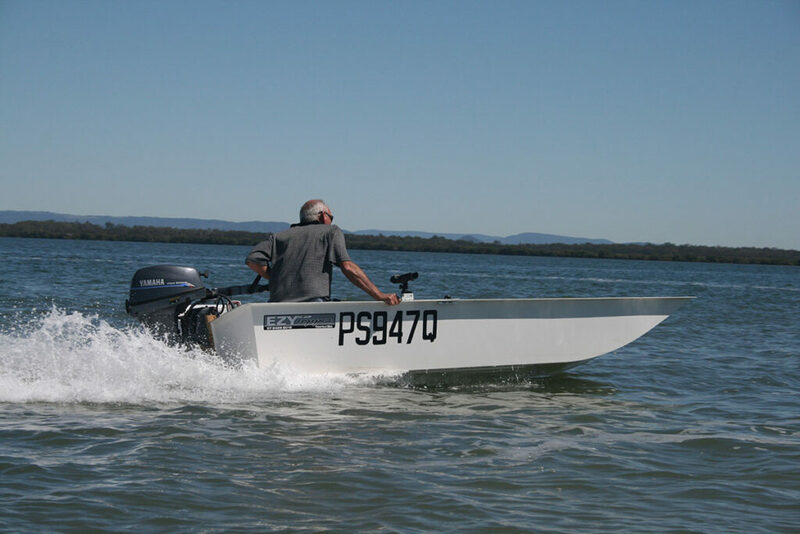 The 3.7m Barra is the ideal car topper, tender boat or small fishing boat. 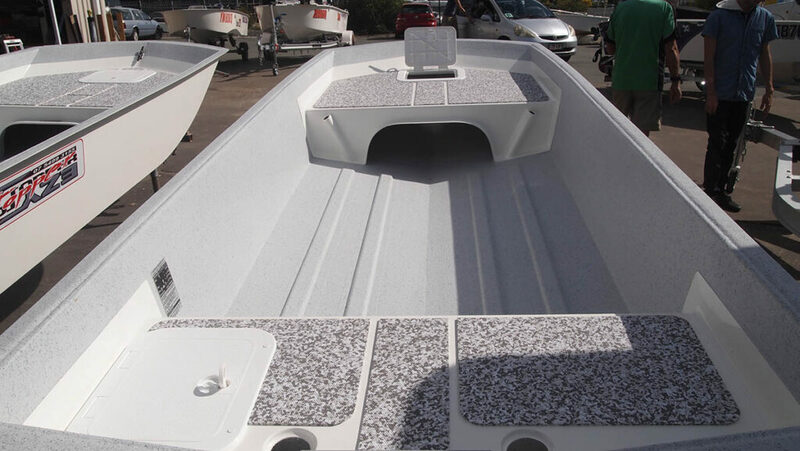 Weighing in at only 50kg with integrated casting decks, ‘SeaDek’ non-slip traction standard and registered to carry 4 people. 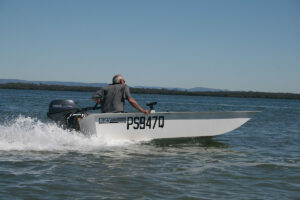 Once you have seen and tested a 3.7m Barra, you will agree, it is the car topper or tender boat for you! 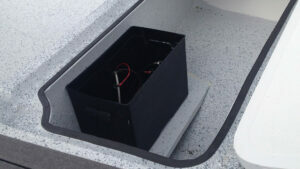 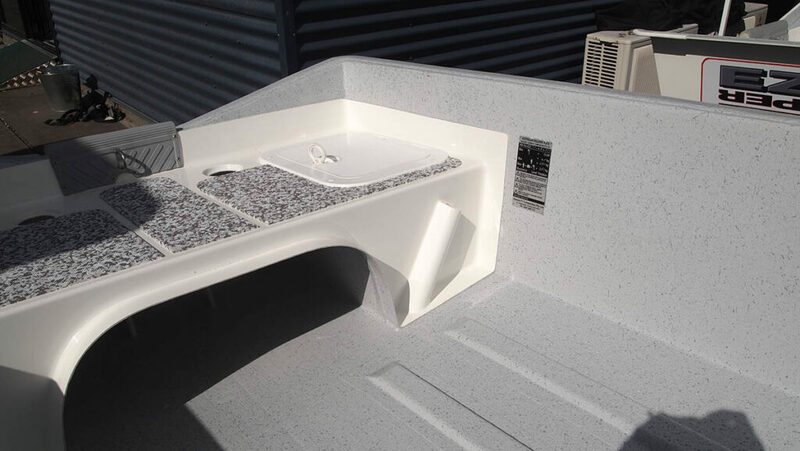 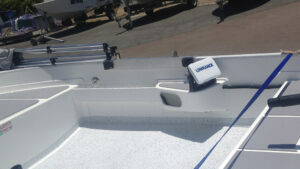 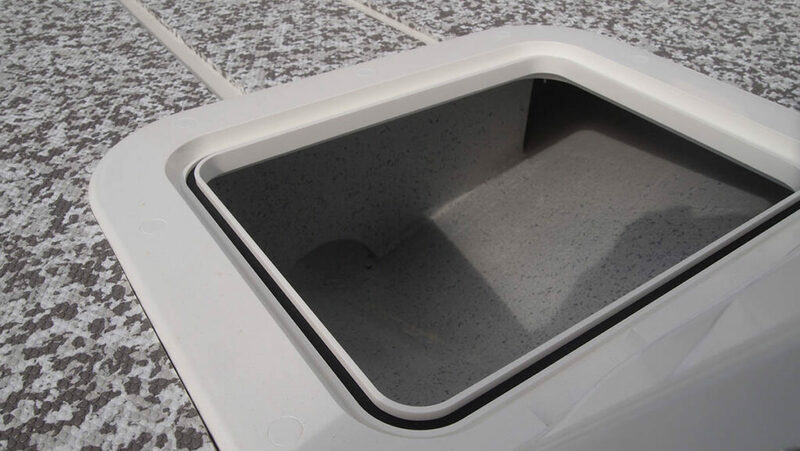 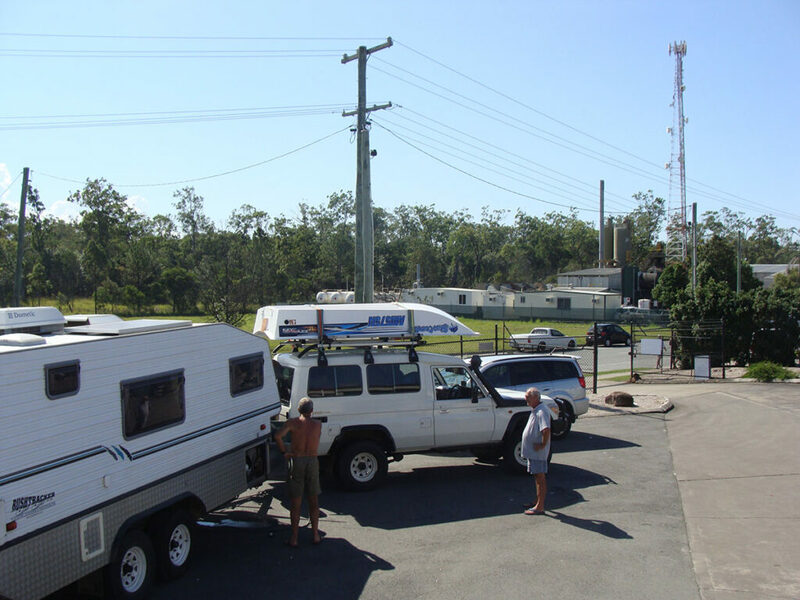 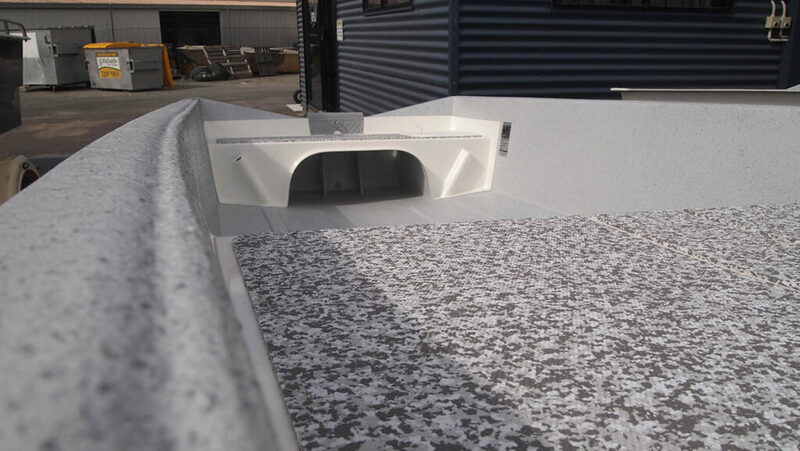 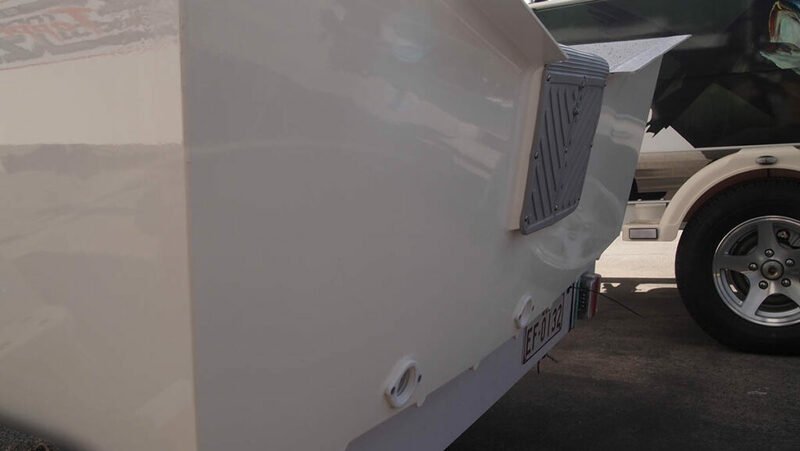 "New 3.7 barra on top of our floating caravan... bloody awesome boats!" 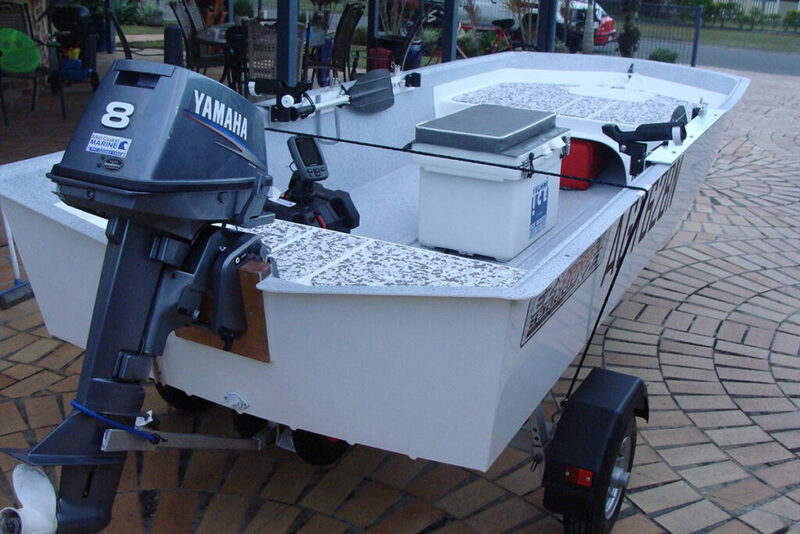 The 3.7m Barra EzyTopper makes the perfect tender boat, car topper or small fishing boat. 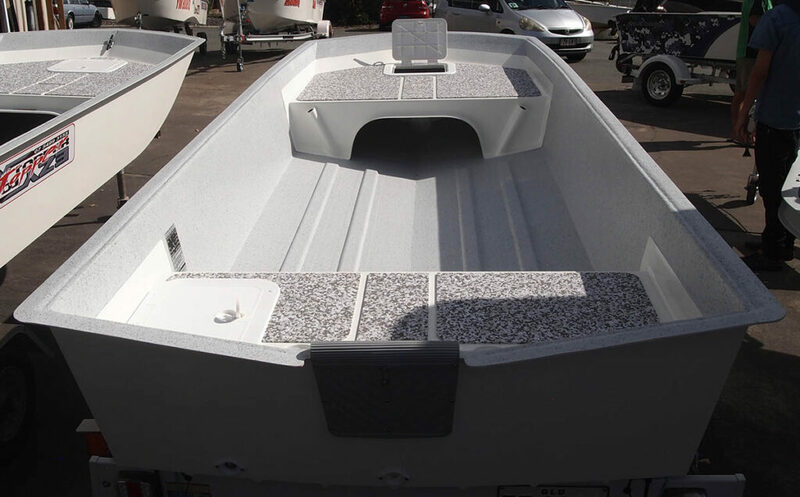 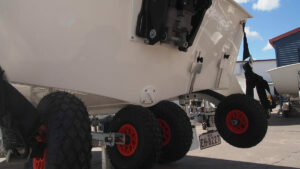 With integrated front casting and rear decks as standard and included in the weight. 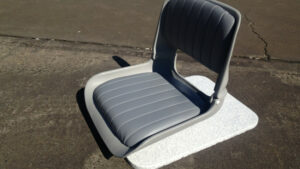 The infused fibreglass construction is strong, light, stable and quiet. 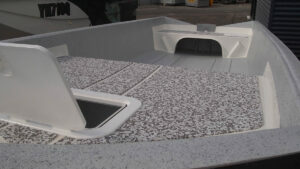 The materials and fibreglass construction method are the same techniques used by the military and NASA to build internal cabins and mouldings. 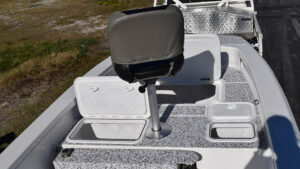 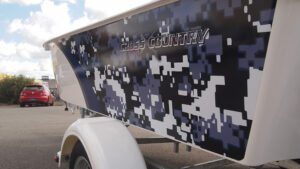 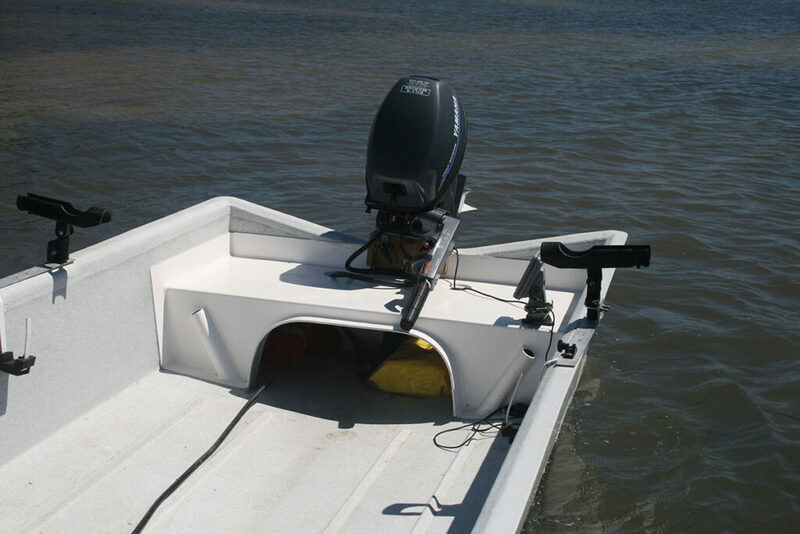 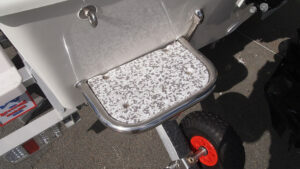 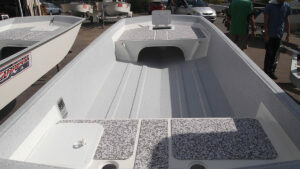 These small fishing boats are designed specifically to be car toppers and tender boats. 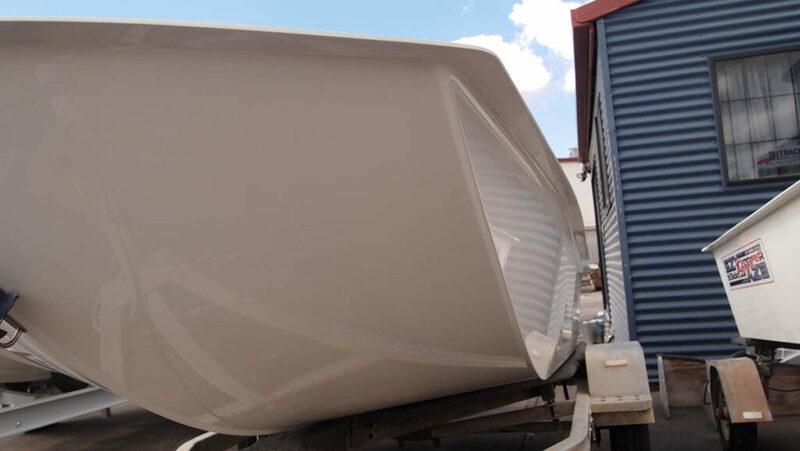 Due to the weight and positive buoyancy of our boats, the recommended outboard size is almost half that of its aluminium counter part. 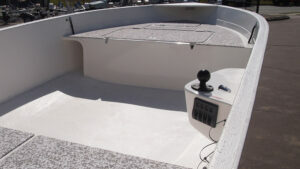 The planing hull glides on top of the water with minimal power. 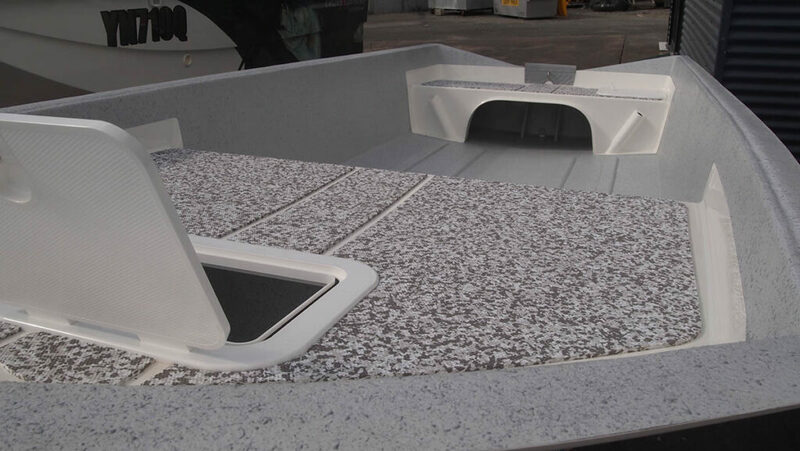 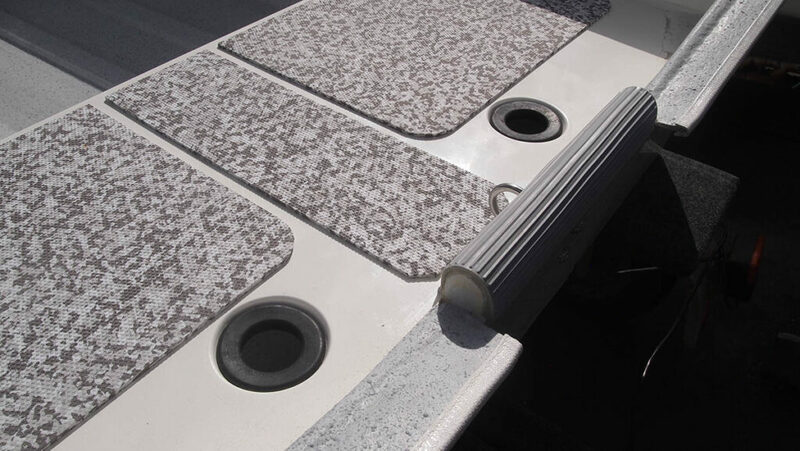 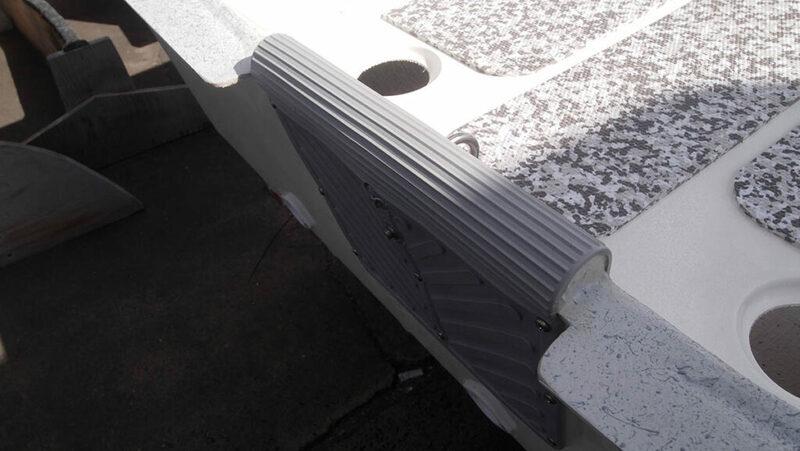 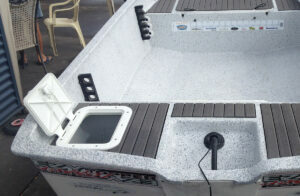 The fibreglass construction absorbs small bumps and chop through the entire hull, making for a quieter and softer ride. 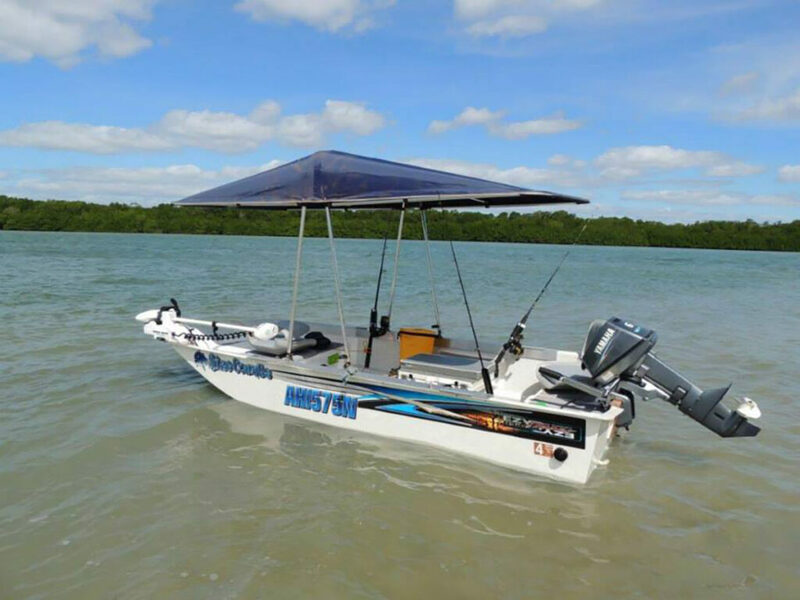 If you’re looking for the perfect yacht tender boat company, then you’ve found them! 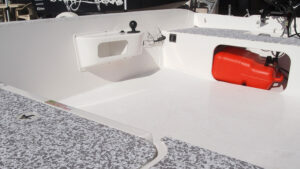 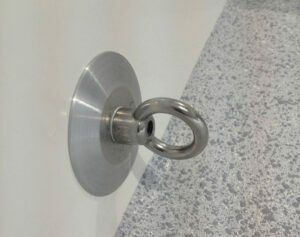 We have sold many 3.7m barra’s for yacht tenders, cruise ships and power yachts.  Enlightened boating is 100% Australian made and designed, so you can be sure you are supporting Australia by purchasing locally. 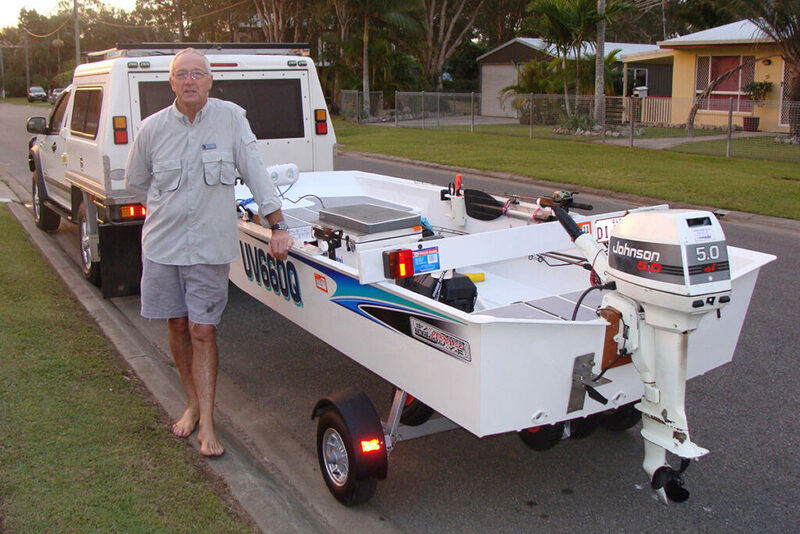 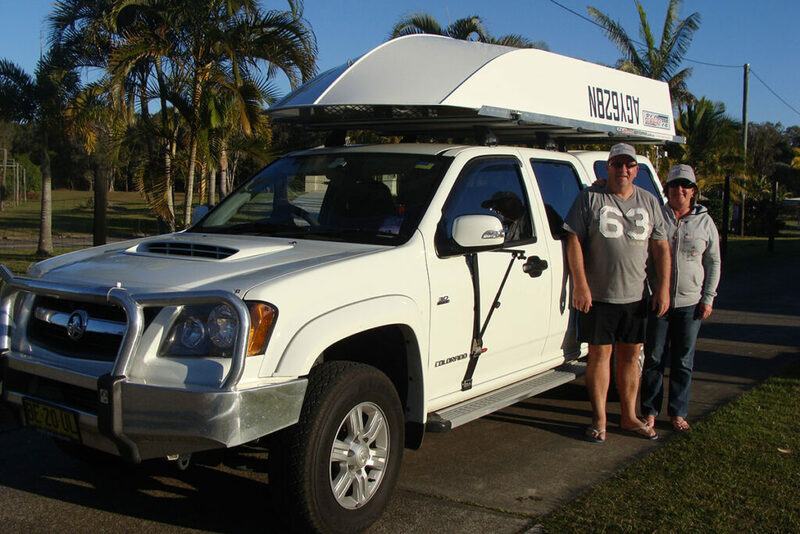 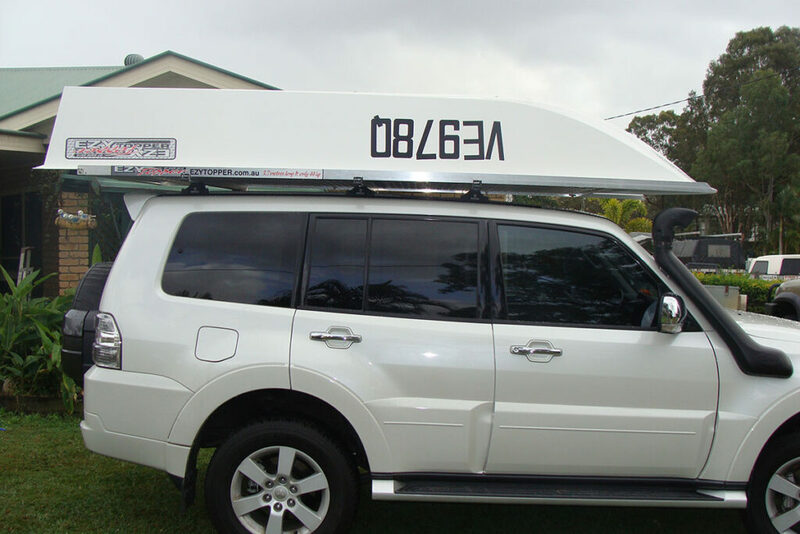 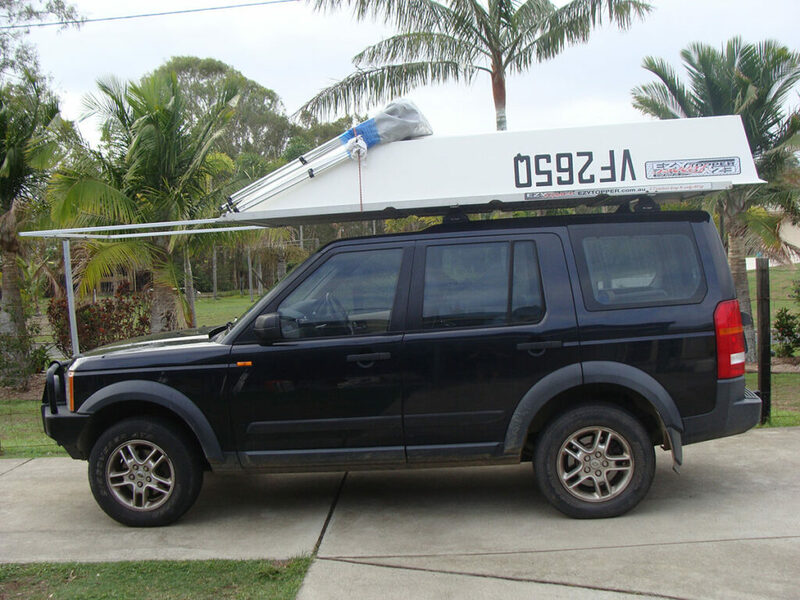 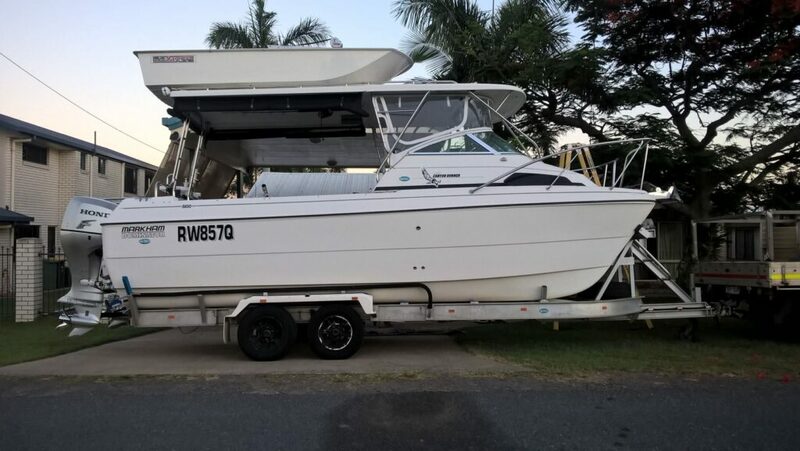 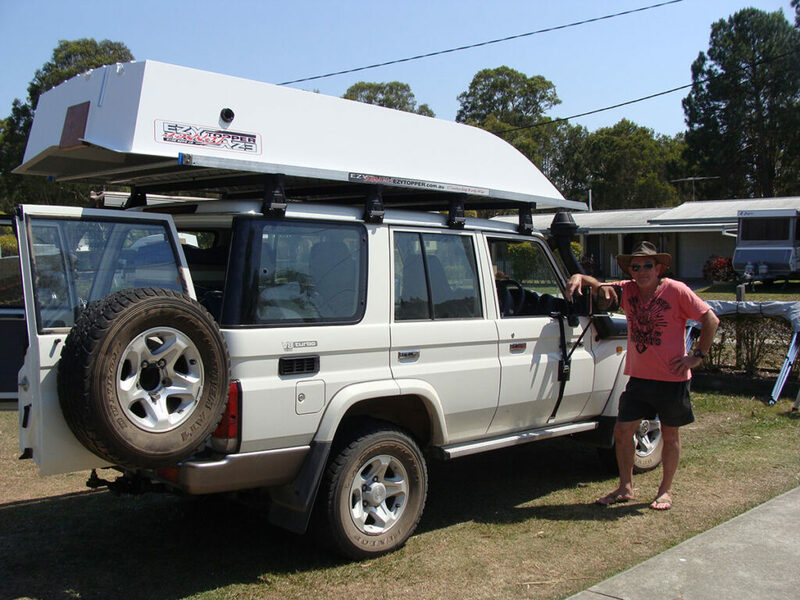 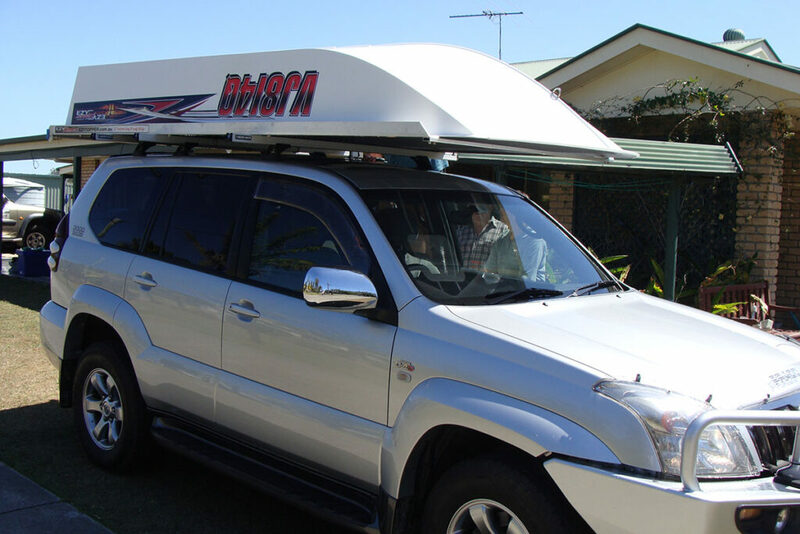 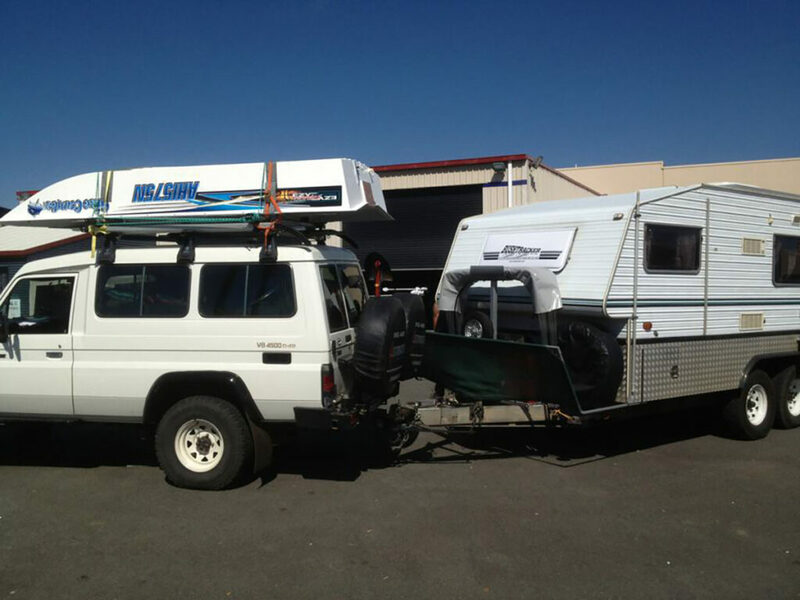 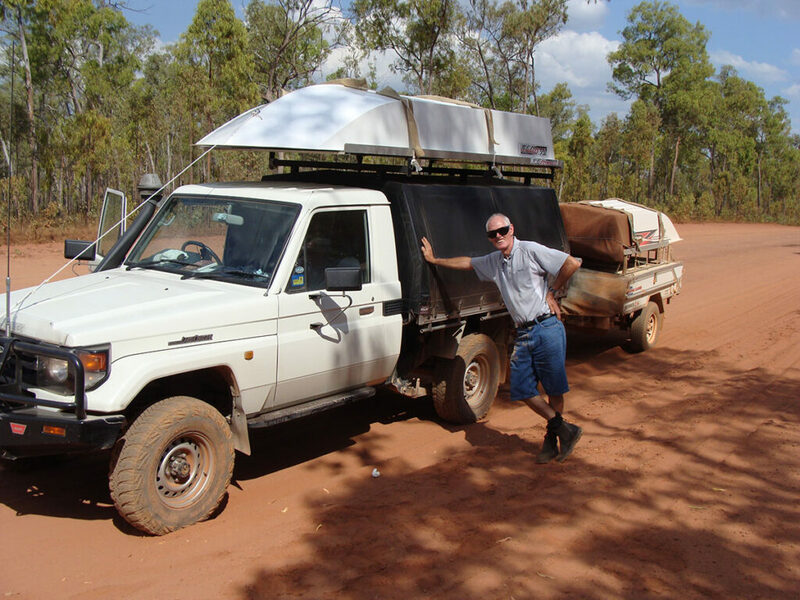 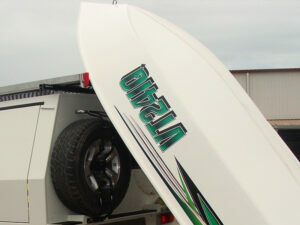 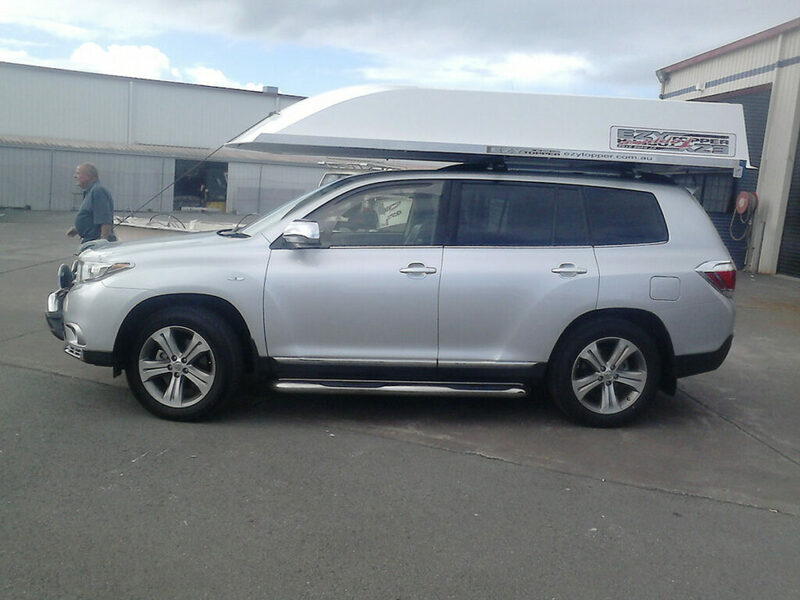 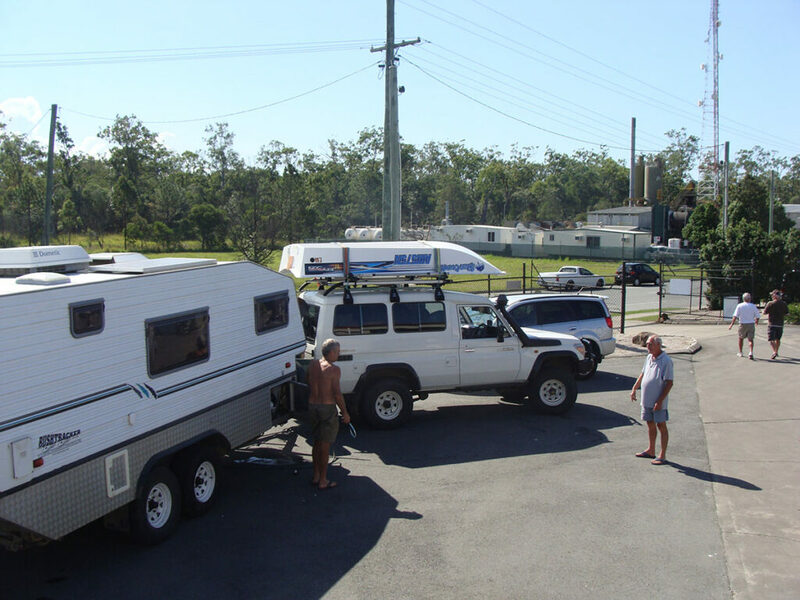 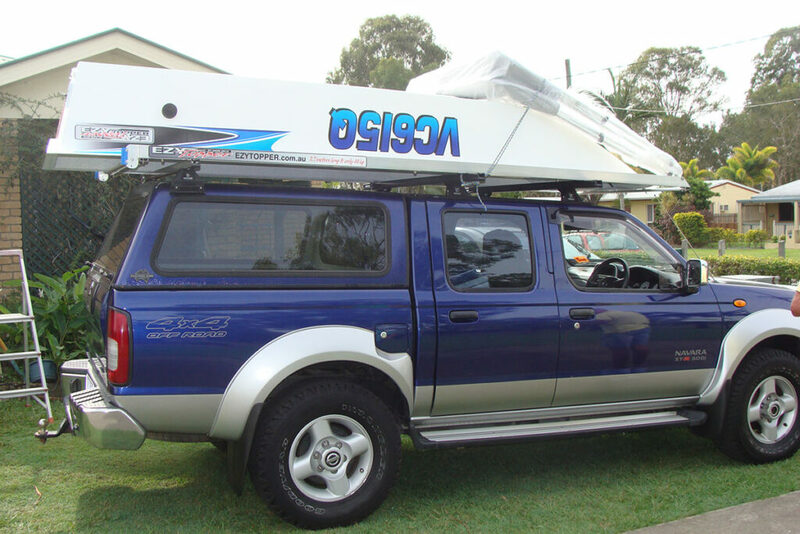 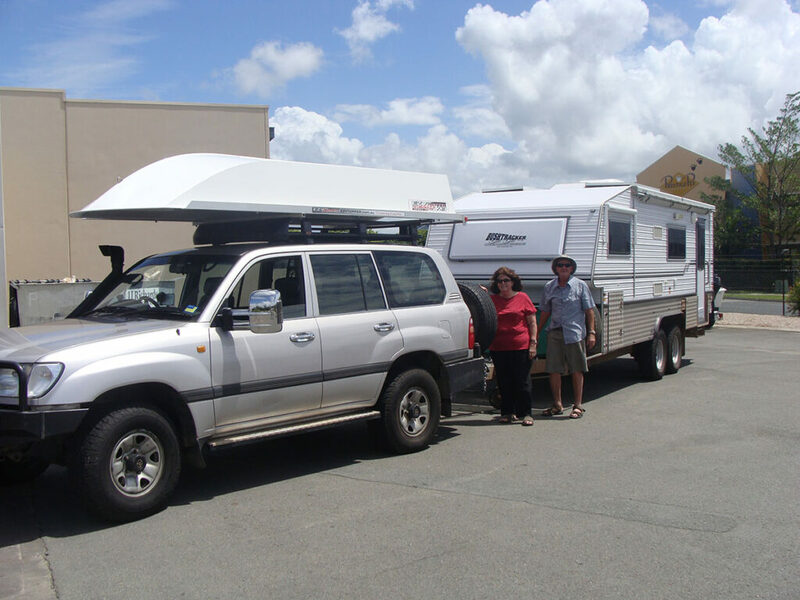 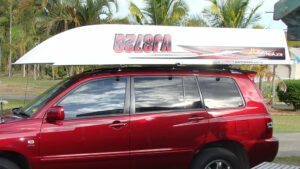 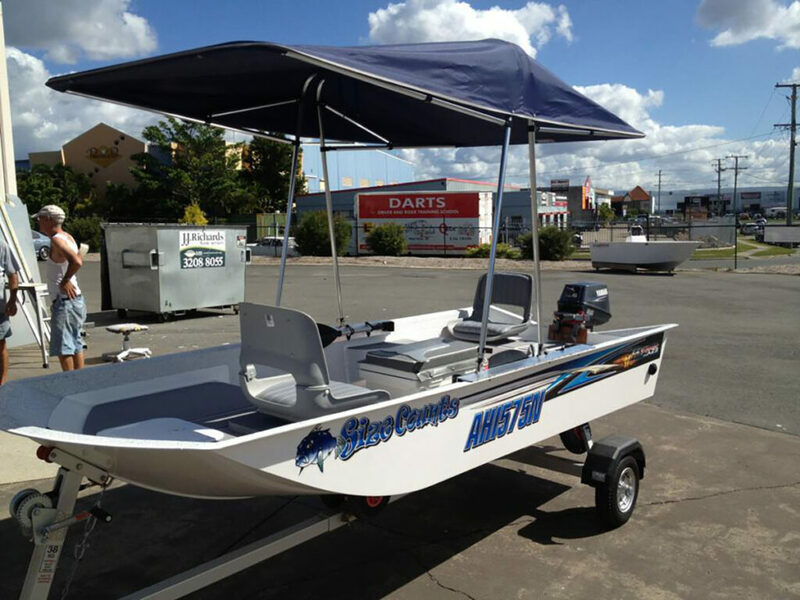 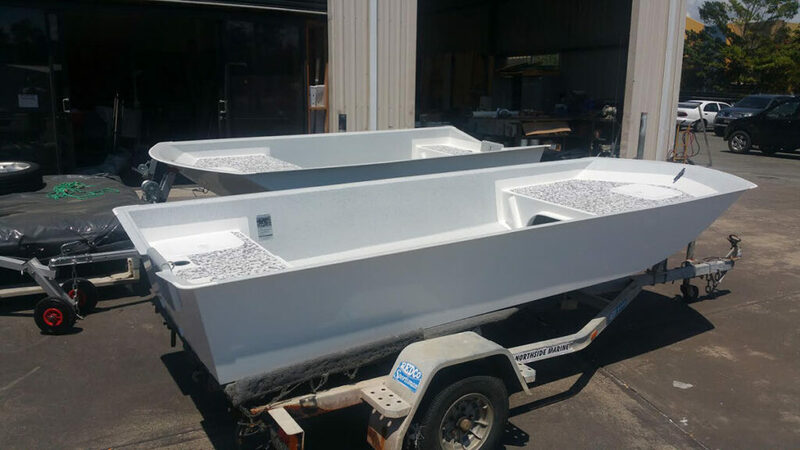 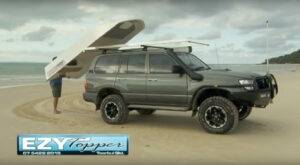 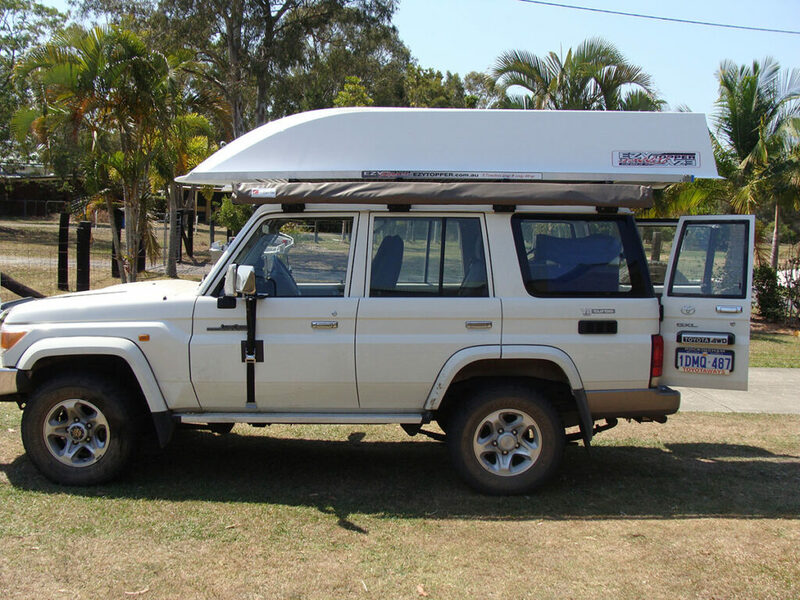 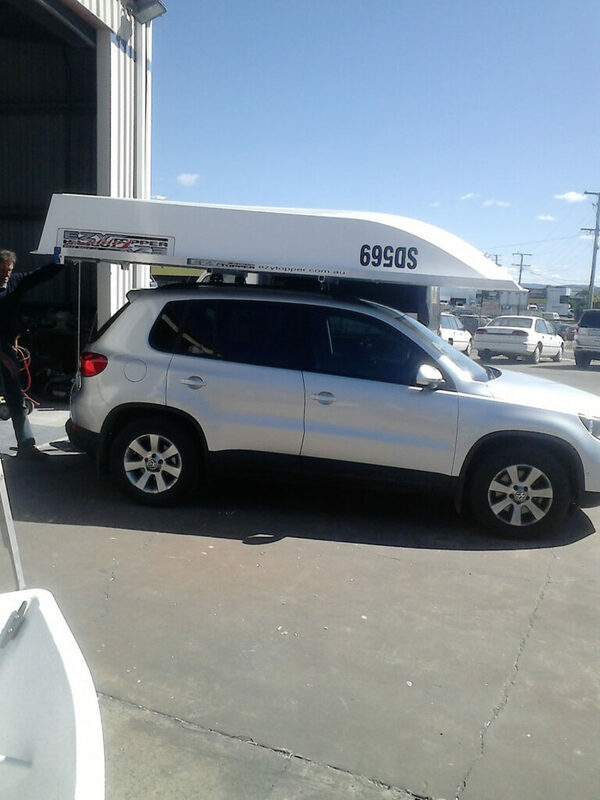 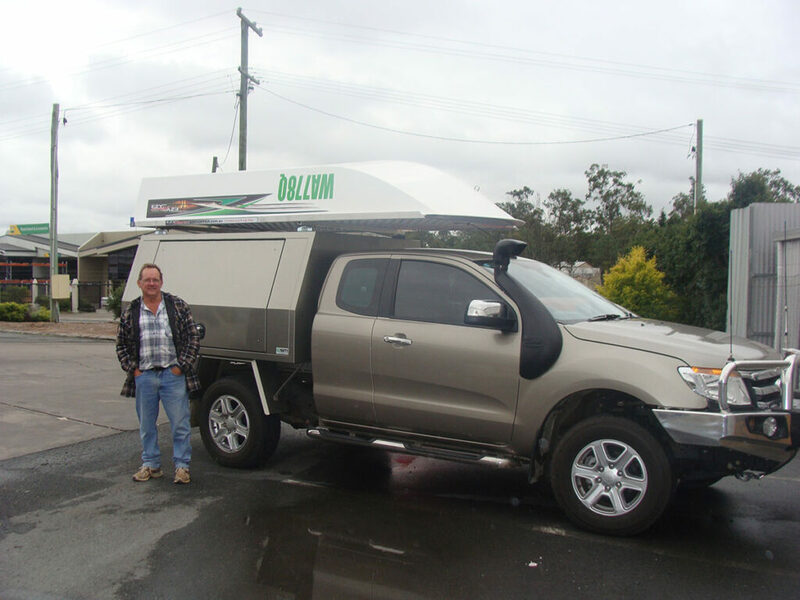 Whether you’re looking for tender boats Australia or a small car topper for a small car we can help you. 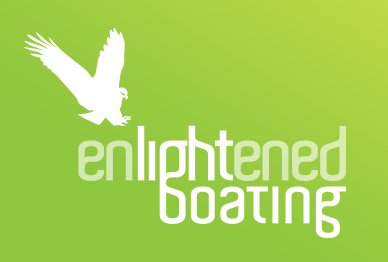 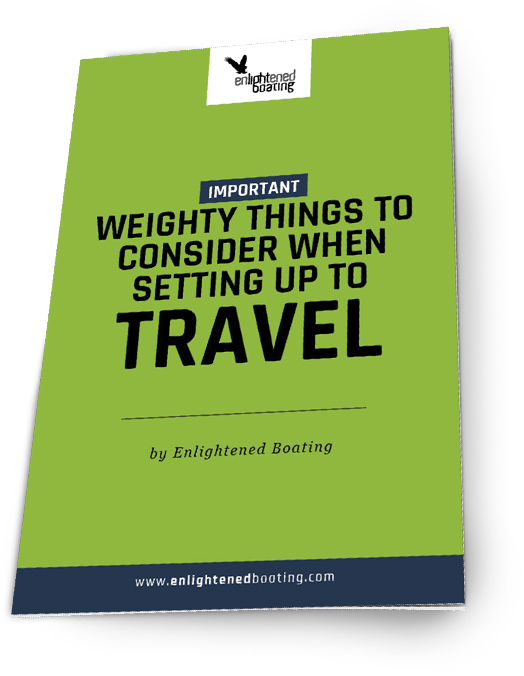 Book a test today and discover for yourself why Enlightened Boating’s EzyTopper boats are the tender boat and roof top boat of choice. 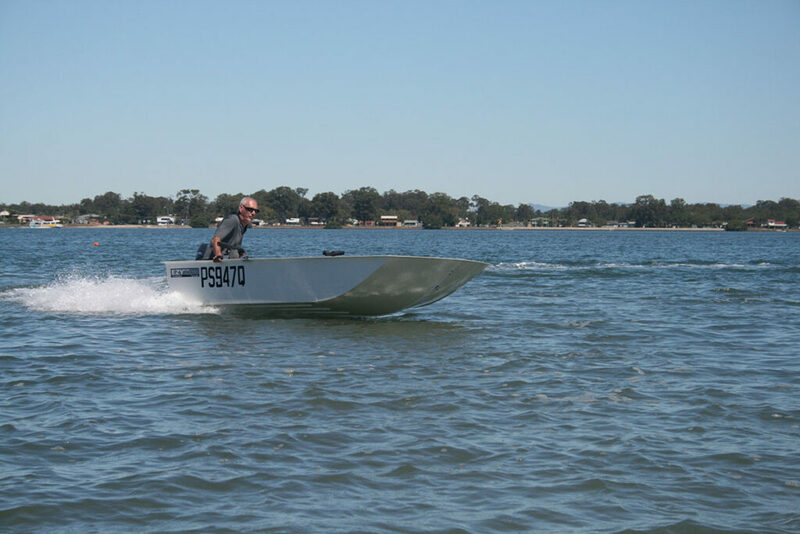 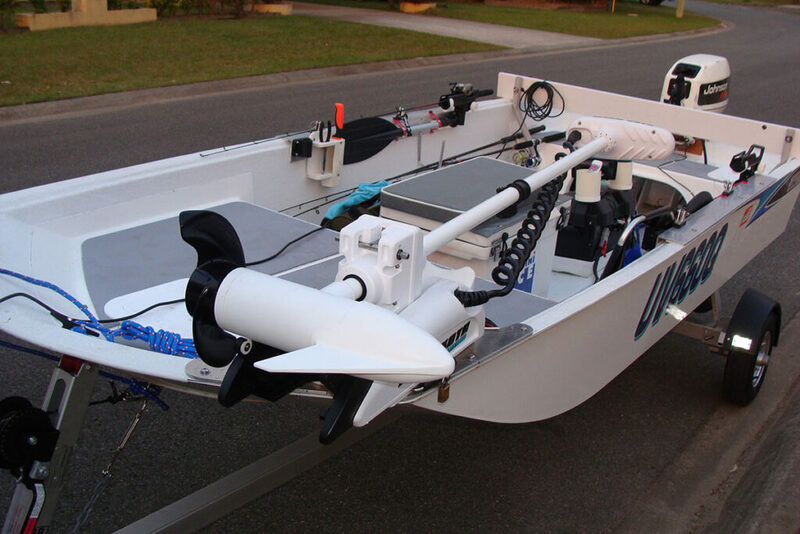 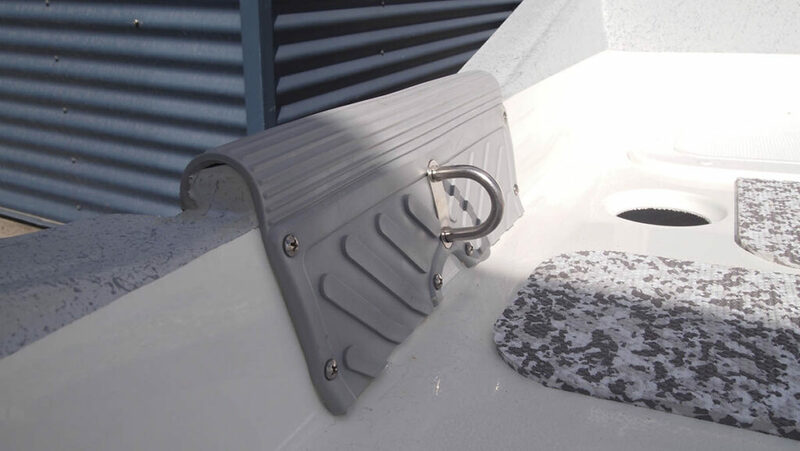 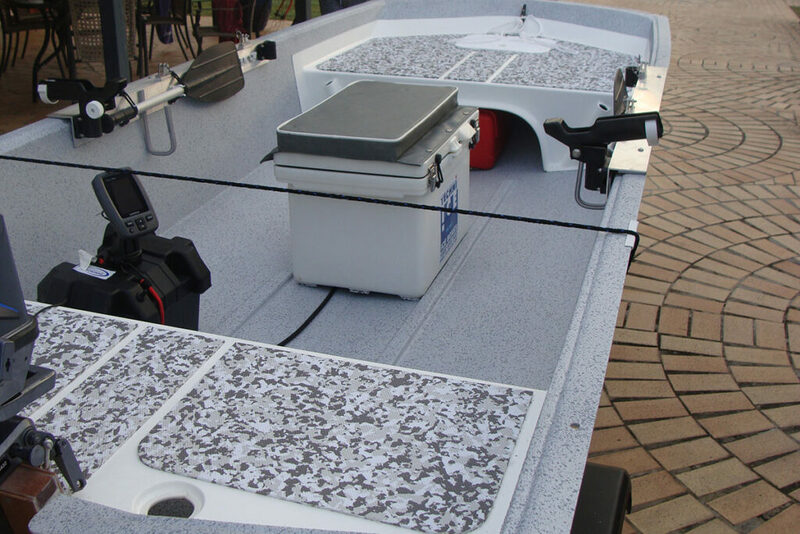 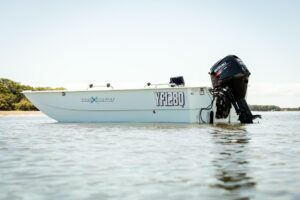 Read more about the advantages our EzyTopper boats.